This year programme is made up of three conferences and a concert and it is aimed at promoting the acknowledgment, boosting and dissemination of heritage in those areas in which this transboundary cooperation programme is acting. This programme is promoted by the Regional Government of Castile and León and Iberdrola Foundation. These sessions were made possible thanks to the collaboration of the town council of Galande and the parish of Santa Maria. They are going to start on Friday, March 29th until Friday, March 30th. Entrance will be free until complete capacity. 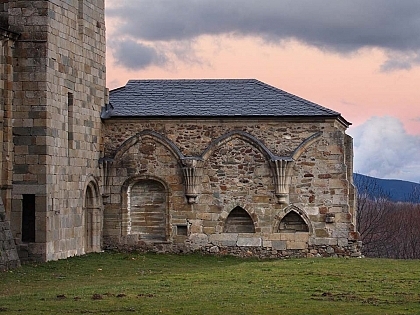 Works by the Atlantic Romanesque Plan at the church of San Martin de Castañeda did not finish by refurbishing and transforming the sacristy into a chapel adapted to the needs of worshippers. The works of the team and of those responsible for the Plan intend to convert the church into spotlight and reference of cultural revitalization. Thus, several recitals have been held at the church in the last years by performers like Dulsica, the Early Music Group of the University of Valladolid, Quartet Neuma, the Chamber Music Group Scherzo, the tenor Moisés Molín and the pianist Manuel Valencia. The dissemination sessions have been expanded and strengthened by the organisation of three conferences this year. The first conference is going to be held by Jesús Castillo Oli, on Friday at 6 p.m., at the church of the monastery. Castillo is the technical director of Heritage Conservation at Santa Maria la Real Foundation, an entity collaborating on the development of the Atlantic Romanesque Plan. The conference should explain the different actions taken by the Atlantic Romanesque at the church. The architect will explain the importance of new technologies in assessing the real state of the building and in accurately planning the actions carried out. One of the most important actions was, undoubtedly, the refurbishing of the old sacristy into a chapel in order to make the cult possible, but other actions like the monitoring of the building were very important in order to prove the effectiveness of the roof in reducing problems affecting the building, like humidity. A project to renew the roofs of the nave was drafted after proving the suitability of the resolution and after objective information was gathered. These works will be soon carried out by the Regional Government of Castile and León. Furthermore, also a reception centre for visitors located at the old park house is about to be finished and will be connected to those already working at the cathedral of Ciudad Rodrigo, the church of San Pedro de la Nave and the church of San Martin de Tours in Salamanca. 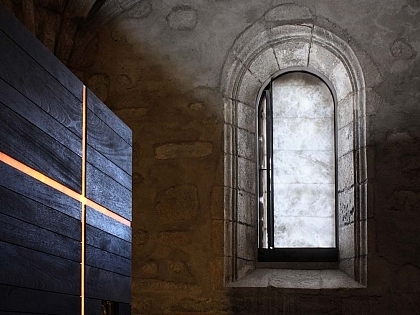 “Like all the other, the information centre in San Martin de Castañeda, will work as an open door guiding people through the territory of the Atlantic Romanesque and offering them information about the works carried out in it”, people responsible for the plan point out, adding that the centre will be soon opened and insist that San Martin de Castañeda is “ a fine example of the targets of the Atlantic Romanesque, which is not only aimed at conserving heritage and improving its management, but also at transforming these points into real centres of cultural boosting”. After the conference held by Jesús Castillo, on Saturday, March 30th, the programme will be twofold. The meeting point is now going to be the old reception centre of the monastery. 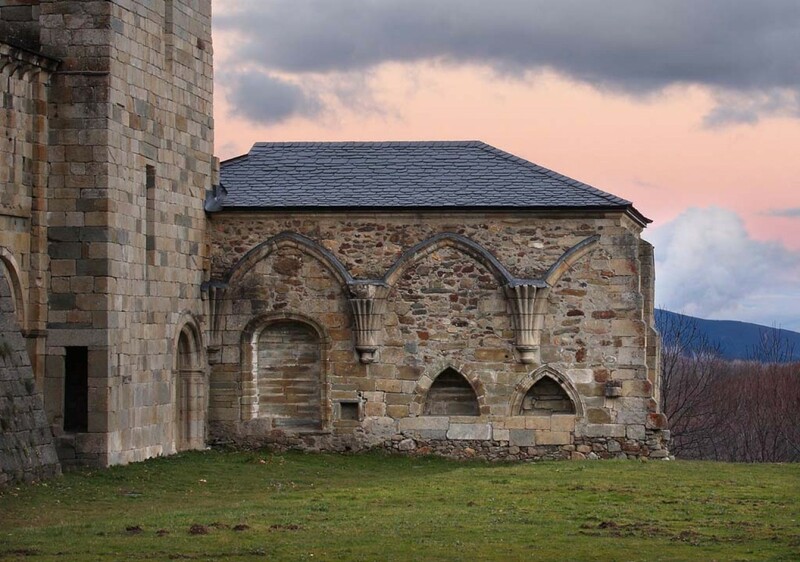 Marisol López del Estal, manager of the newspaper La Opinión de Zamora is holding a conference entitled “Memories from Sanabria”, and M. Teresa del Estal López is going to focus her conference on religious art restored at the parish of San Martin. These sessions were organised thanks to the help of the town council of Galende and the collaboration of the town council of La Puebla de Sanabria, the newspaper La Opinión-El Correo de Zamora, the parish and some local businesses and they will be completed with an educational concert by Luis Antonio Pedraza and Paulo Meirinhos, who will take us through a music journey around la Raya (frontier region of Portugal and Spain). This journey will take one hour and it will start at 8 p.m.